Pierce potatoes with a fork 5-10 times per potato. Place on baking sheet and cook for 45-50 minutes, until soft. To prepare the salsa, dice tomatoes and onion. Transfer to a bowl. Chop cilantro and add to bowl as well. Add juice from limes and salt and pepper to taste. Mix together and set aside. To prepare the guacamole, scoop avocado into a bowl and mash. Add onion powder, garlic powder, salt, pepper, and 1/3 of the salsa mix. Mix well and set aside. In a saucepan, mix contents of corn can and rinsed black beans together. Heat on medium-high until warmed. Remove potatoes from oven. Once slightly cooled (enough to handle) cut in half, stopping halfway so the potatoes are still in tact. Mash the center of potato. 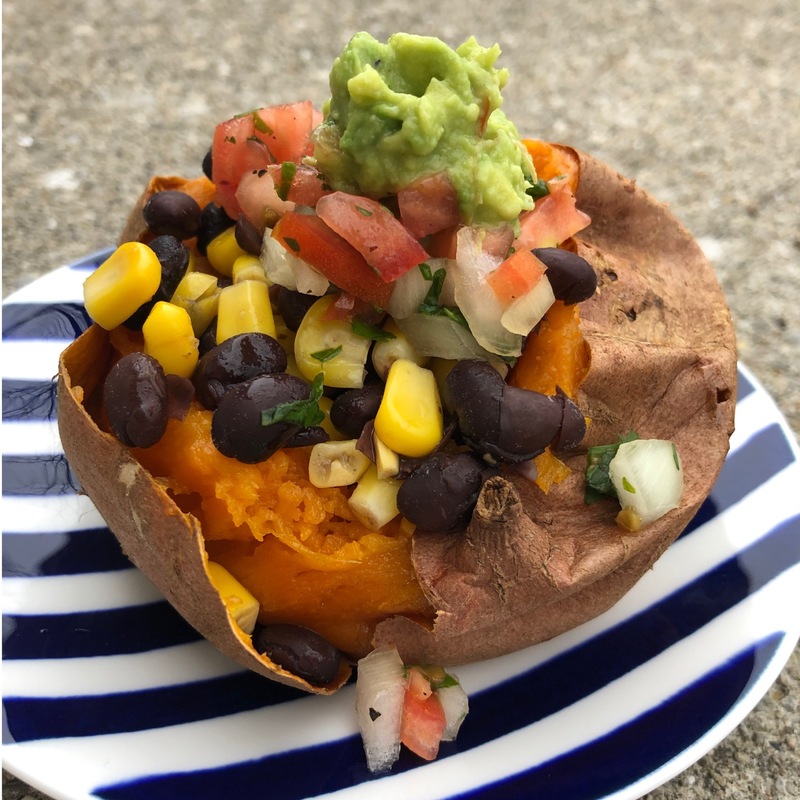 Top mashed sweet potato with corn and beans, then salsa, then guacamole. Enjoy!